Giorgio Armani Luminous Silk Foundation - SPF free - yes, seriously - satiny-smooth medium coverage foundation that makes skin glow, but not in an oily way. I have combination skin that can get dry on my cheeks and oily in my t-zone, and this foundation is easily one of the best for both areas. It does give the skin a bit of moisture, but it also sets down to a natural-satin finish and lasts all day long. It's the one I'll always reach for when I know I need my makeup to stay put and look pretty much perfect, especially if there's going to be any picture-taking happening. If you have an event coming up, say, a summer wedding to attend...this one will not fail you. 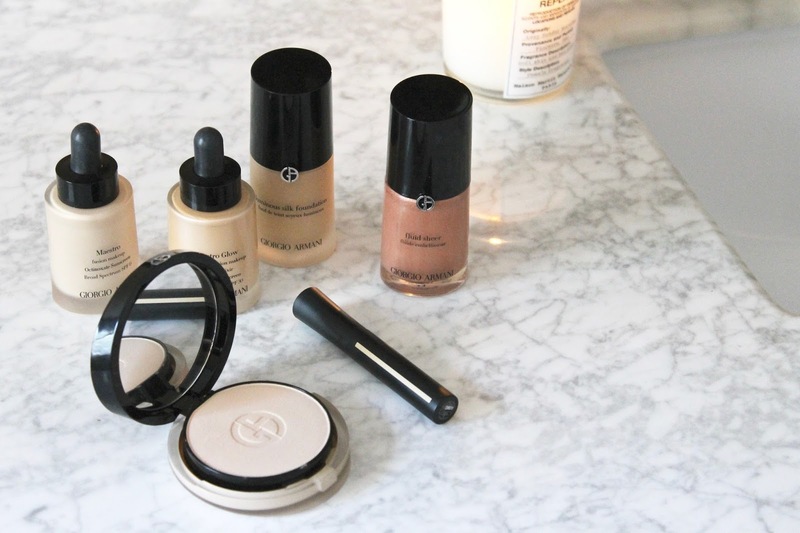 Giorgio Armani Maestro Fusion Makeup - This was probably the original foundation that is super thin in consistency, yet delivers great coverage in a natural way. It's much less viscous than Luminous Silk, and definitely sits a bit more on the matte side of the spectrum, but I love it for days when I need coverage that fuses with my natural skin. I've also seen this work on a variety of different skin textures, whether dry or oily, thanks to the fact that it does contain oils that set down and create a customized finish depending on your skin type. 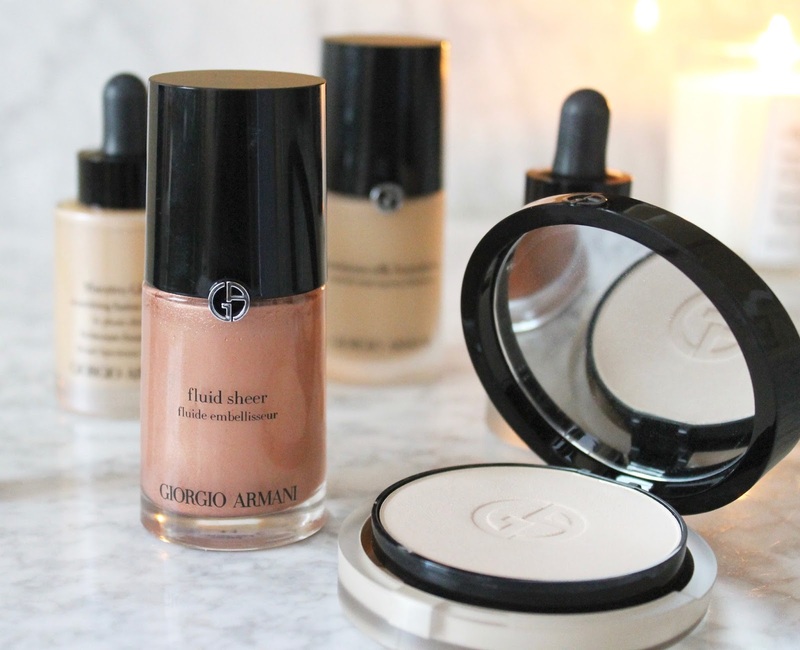 Giorgio Armani Maestro Glow Nourishing Fusion Makeup - Take the original Fusion foundation, and marry it with an oil base that creates the most incredible glow on the skin and feels nourishing throughout the day. The product is made up of pigments suspended in the oil mixture, so the result is a more sheer coverage than the original, but it is such a beautiful product for a natural coverage with a lit-from-within sheen. For me, it works beautifully in the winter and colder months to combat any dry patches and keep me looking healthy and radiant. Giorgio Armani Fluid Sheer - These shimmering fluids come in multiple different shades, and can be used for a variety of different purposes. If you choose a pale champagne shade, I'd suggest mixing it in with your foundation for a subtle, yet insanely beautiful, glow. I've been using the shade 11, a warm peachy pink with shimmering gold flecks, as a bronzer/blush/highlighter hybrid. Buffed onto the high points of the cheeks with a stippling brush on it's own, it manages to do the job of three products and makes skin glow. It also works beautifully on top of other blushes or bronzers to add a subtle radiance and amplify the other shades. 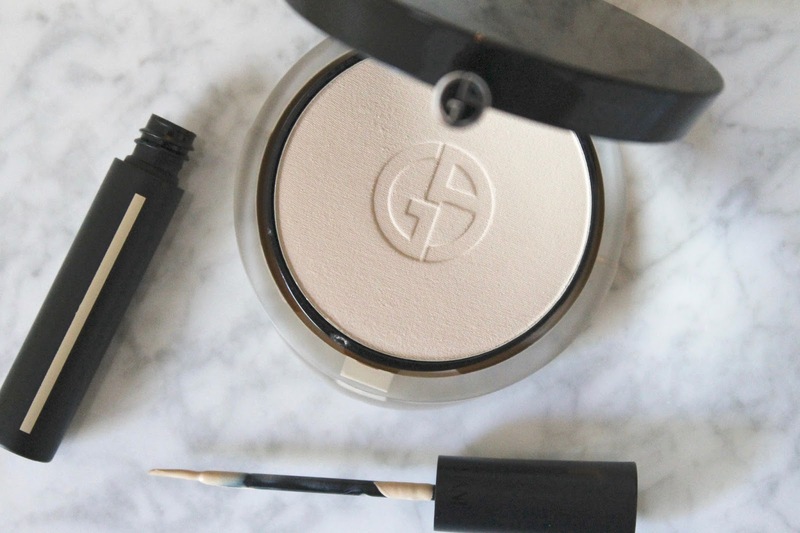 Giorgio Armani Luminous Silk Powder Foundation - This tinted powder can be used as a full-on foundation, or as a setting powder for makeup. I personally like to use a liquid foundation, but usually do so in thin layers, so this is the perfect way to amp up the coverage and set things down for a lasting finish. The formula is oil-free, and the texture feels so lightweight, and almost creamy - so it is quite hydrating for a powder (amazing! ), yet blurs imperfections and amps up coverage like a dream. Giorgio Armani High Precision Retouch - I'm really not sure why there isn't more hype surrounding this concealer. It comes in a pocket-sized tube with an applicator that resembles an eyeliner brush, moreso than a concealer brush. It's actually a genius way to apply concealer without having to use a separate brush for smaller blemishes or hard-to-reach areas. I also love the texture of the product, a little goes a long way thanks to the intense pigmentation and yet, it never looks cakey or obvious. I love it for both under the eyes and on the rest of the face, and it's definitely one that's on-the-go friendly. You need this, I wouldn't steer you wrong. 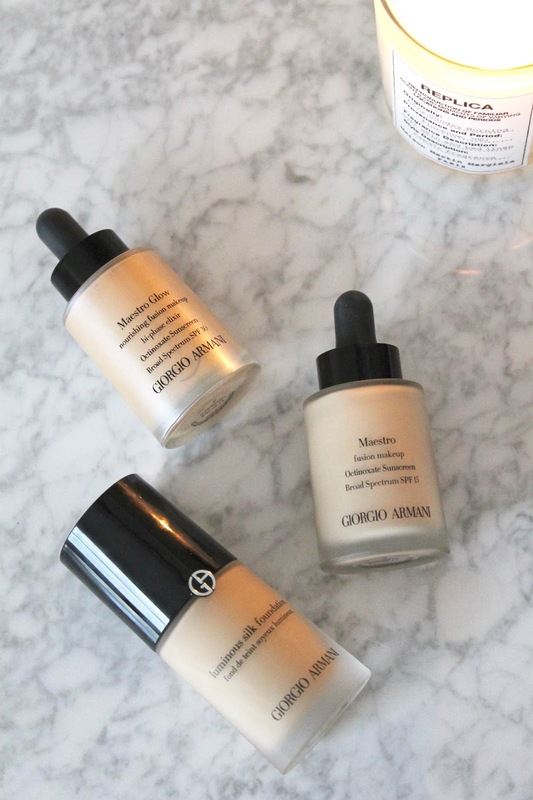 What are your favorite Giorgio Armani base products?